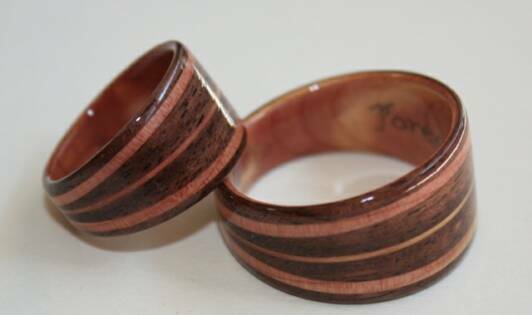 Black Walnut Wood Rings with Juniper Heartwood inlaid bands and juniper heartwood liners. 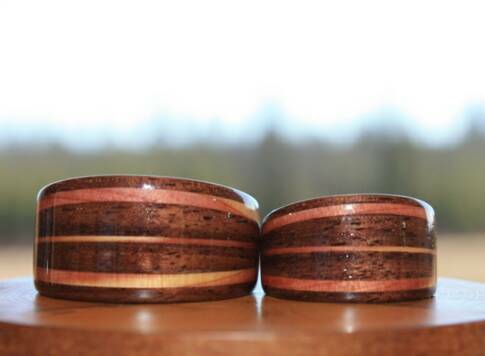 These custom designed wood rings are size 6.5 and 12.5 (US). Both are very wide rings and both are tapered to 6mm.